Real Estate is no different than any other industry. We have our own terms and acronyms that may sound foreign, especially to first-time buyers. 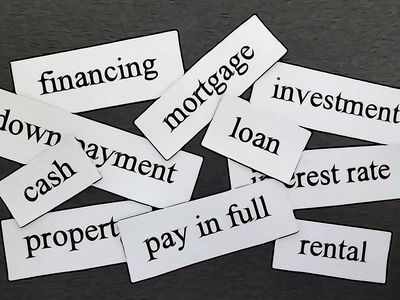 It helps to be somewhat familiar with financing and real estate lingo and, of course, as your trusted professional real estate agent, I will explain anything you do not understand. Here’s a glossary of 30 terms you’re likely to encounter when buying or selling a home. Appraisal: A written justification of the price paid for a property, primarily based on an analysis of comparable sales or “comps” in the neighborhood. This is ordered by a lender, done by an independent appraiser and paid for by the buyer who receives a copy upon completion. Bridge Loan or Swing Loan: A short-term loan used to bridge the gap between the purchase of a new home and the sale of an existing property. Once the existing home is sold, and the owner receives the proceeds from that sale, permanent financing is usually obtained. Contingency: A condition that must be met before a contract is legally binding. Contracts often include contingencies for a satisfactory home inspection report from a qualified home inspector and for the buyer securing financing. Contingent Offer: A home is under contract. The sellers have accepted an offer but the deal is still dependent on buyer financing and a satisfactory home inspection. Deed: This is a legal document conveying title to a property. Deeds are kept in a government office, typically a county office, tasked with maintaining public records. Depreciation: The decline in the value of the property. The opposite is the appreciation-an increase in property value. Earnest money deposit: A deposit made by the potential home buyer to show serious intent to buy the house. This deposit is applied to the purchase once the contract is finalized. Escrow account: Once the buyers close on the home purchase, they may have an escrow account with the lender. The monthly payment includes an amount above the principal and interest. The extra money is held in an escrow account and pays for the property taxes and homeowner’s insurance when they come due. The lender pays them with this money instead of the buyer paying them. Buyers will receive a property tax statement from the county. They do not pay it if they have an escrow account. The lender pays the bill. Home inspection: A thorough inspection by a professional that evaluates the structural and mechanical condition of a property. A satisfactory home inspection is often included as a contingency by the purchaser. The buyer typically pays for this and receives a written report upon completion. Homeowner’s warranty: A type of insurance often included by the seller. It will cover repairs to certain items, such as heating and air conditioning, during a defined period of time. Interest: The sum paid to a lender in return for the use of money. Loan origination fee: This negotiable fee is charged by the lender to process the loan and is a percentage of the total loan amount. Lock-in & Lock-In Period: An agreement where the lender guarantees a specified interest rate for a certain amount of time (lock-in-period) at a certain cost. MLS: Multiple Listings Service is a database of homes for sale with detailed information. Seller’s homes will be listed on the MLS. Buyers can search for their dream home through this service. Real estate agents rely on the MLS to guide both buyers and sellers. Offer: Homebuyers inform a seller what they are willing to pay and request and describe any other terms. The seller can accept the offer, counteroffer or reject the buyer’s offer. Pending: An offer on the property for sale has been accepted and all contingencies have been cleared. A closing is imminent. Pre-approval: A borrower has completed a loan application and provided debt, income, and savings documentation which an underwriter has reviewed and approved. A pre-approval is usually done at a certain loan amount and with assumptions about what the interest rate will actually be at the time the loan is approved, as well as estimates for the amount that will be paid for property taxes and insurance. A pre-approval applies only to the borrower. Once a home is under contract, it must also meet the underwriting guidelines of the lender. Pre-qualification: A loan officer’s written opinion of a buyer’s ability as a borrower to qualify for a home loan. To create this opinion, the loan officer has inquired about the buyer’s debt, income, and savings. Most loan officers will pull credit history and obtain a credit report and score for the borrower. Principal: The amount borrowed or remaining unpaid on a loan. The principal is the portion of the monthly payment that reduces the remaining balance of a mortgage. Purchase agreement: A written contract signed by the buyer and seller stating the terms and conditions under which a property will be sold. It is legally binding. Renovate: Make space new without changing its use, often done in kitchens and bathrooms. Restore: Return a space to its original use, and/or return a space to its original character, especially in historic properties. Walk-Through: A buyer’s final inspection of the home to review if conditions in the purchase agreement have been met. All agreed-upon repairs should be completed and all agreed-upon fixtures evident at the walk-through. Zero-Lot Line: The positioning of a house near or on top of the lot boundary, resulting in little or no space between houses. These properties are ideal for buyers who no longer wish to maintain outdoor living spaces. Let’s put these terms to use. Are you ready to buy or sell? Let’s meet.